Is this a millennial dream? Or instead, a caricature? 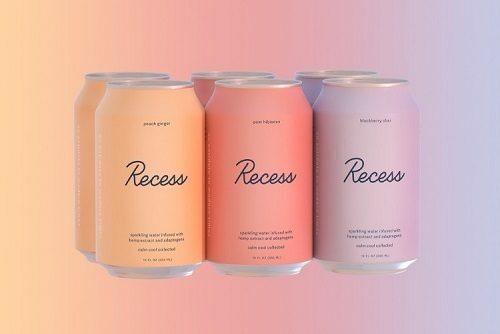 Recess is coming at us with a distinctive vibe for sparkling water – infusing it with hemp extract and “adaptogens.” The brand promises balance and clarity. Can this be what’s replacing soda for generations to come? In case you haven’t noticed, big soda’s image has been taking a hit for several years now. It’s responsible for just about everything bad that happens these days. As if to cement that bad image, the U.S. President has a little red button to summon a Diet Coke whenever the impulse hits him. As the image takes a hit, sales do too. 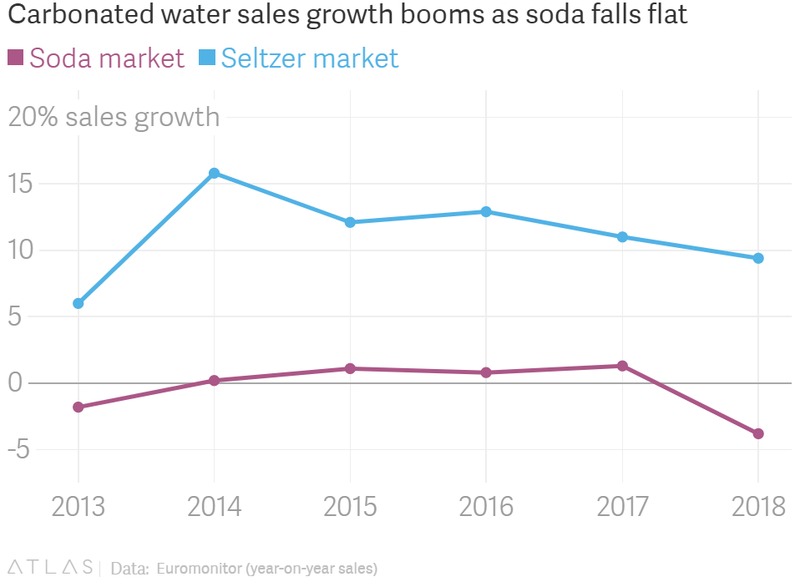 So flavored sparkling waters are doing well. Sugary sodas are not. On top of that, 2019 is the year of cannabis in everything. CBD (cannabidiol) comes mostly from hemp, not marijuana. It’s not especially psychoactive, unlike THC. So it’s legal everywhere in the U.S. But CBD does have a reputation (poorly substantiated) for relieving anxiety. Apparently that’s good enough to spark a trend. Bustle calls Recess sparkling water the “chillest possible way to stay hydrated.” Chill responsibly, they say. Needless to say, Recess gets it when Robert Lustig tells us that sugar is toxic. So they only give us four to five grams of the “poison” per can. A little bit won’t hurt, right? I think CBD beverages are going to be bigger than energy drinks ten years from now. Just like everyone seeks stimulation in energy today, the next big category will be this idea of balance, with the rise in meditation apps, yoga, and mindfulness. In the New York Times, Kate Carraway calls it “aggressive marketing of commodified wellness.” It’s all that – plus an antidote to the epidemic fear of sugar-sweetened beverages. Click here for more from Carraway, here for the review from Bustle, and here for perspective from Beverage Daily. Recess Sparkling Water, photograph © Drink Recess Inc. Since the stuff from the tap is usually excellent, most people buying water are evidently getting paid too much. Unless you live in Flint.